Driving buses and trucks continuously for hours is a quite difficult job. In many cases it has been observed bus and truck drivers are seen driving after consuming alcohol. Driving such large vehicles on the road under the influence of alcohol is a grave threat to the driver’s as well as other commuters life on the road. So in order to detect drunk driving in buses and trucks we here propose an automated system that detects such incidents and also avoids it. Also it sends notification of the incident to respective authorities. 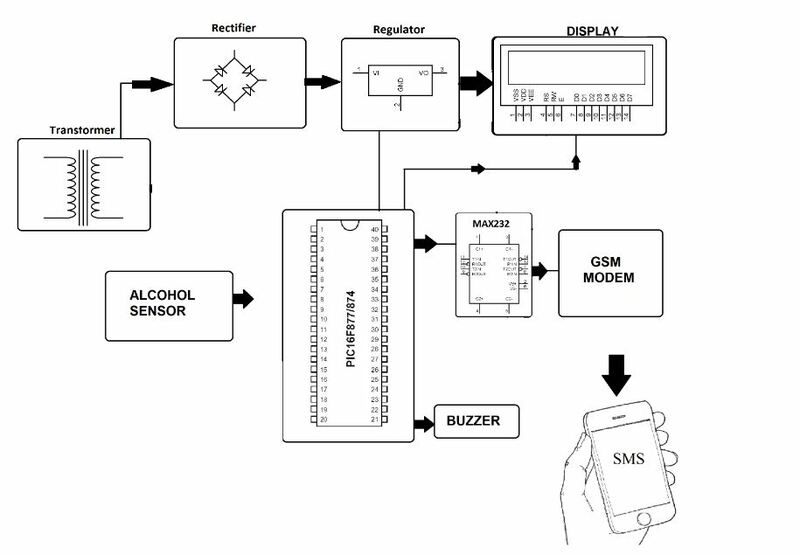 We here use an alcohol sensor interfaced to microcontroller along with a GSM modem to send notifications, LCD display to display status and buzzer. 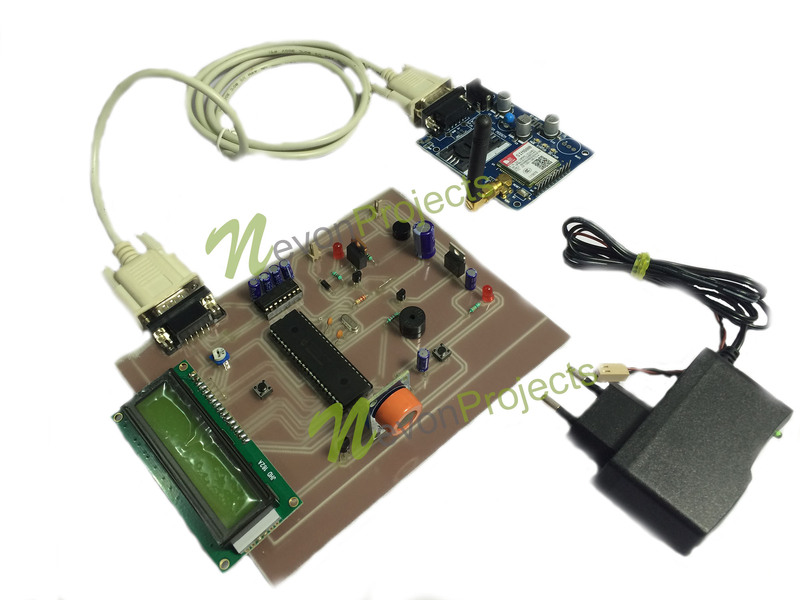 The system is powered by a 12V power supply. 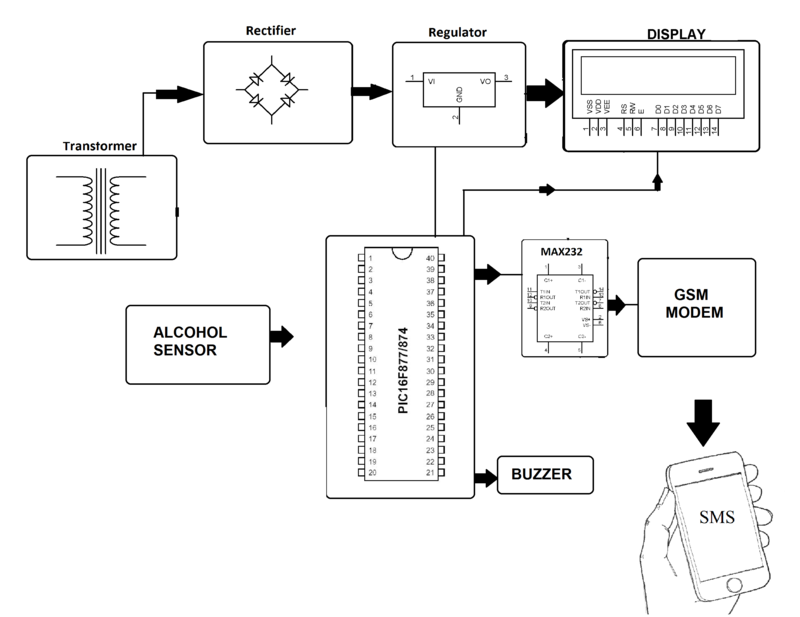 Once alcohol is detected on sensor it generates a relative voltage and microcontroller is signaled. The microcontroller now checks if the alcohol content of driver is above permissible levels. If it is above permissible levels, the controller displays the status on display, sounds a buzzer. It also stops a motor used to demonstrate as vehicle engine. Now the controller also instructs GSM modem to send an sms message to the respective authority or owner of vehicle about the event so that further action can be taken about the incident.